From Sons of Anarchy to Prison Break? Charlie Hunnam is continuing on his quest to make the successful transition from TV to film, with the latest report that he's being eyed for a leadrole in the remake of Papillon. Courtesy of The Playlist, conversations are reportedly taking place to see Hunnam taking on the role of Steve McQueen in the update of the 1973 movie. Papillon tells the story of its eponymous character, played by McQueen, who finds himself imprisoned in South America, and details his escapeaided by a counterfeiter played by Dustin Hoffman. News of the remake broke last year, with Danish director Michael Noer going behind the camera for this one, and this is the first casting update we've received since then. Prisoners writer Aaron Guzikowski has penned the script, while it has the producers of The Wolf of Wall Street behind it, so there is cause of optimism behind the outrage at the remaking of a classic McQueen film. If Hunnam does take the role, it'll add to his upcoming slate that includes The Lost City of Z, Guy Ritchie's Knights of the Roundtable: King Arthur, and the sequel to Pacific Rim, as he continues to move on from his starring role in the hit drama Sons of Anarchy. Are you happy with a remake of Papillon? 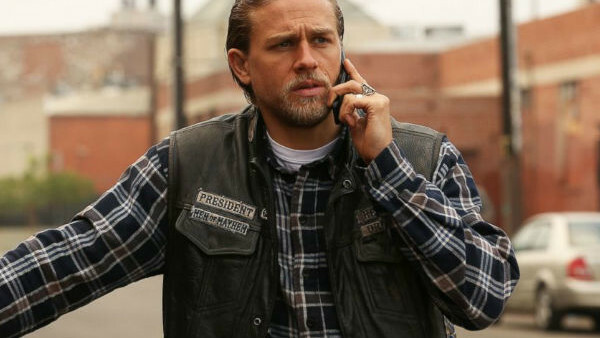 Would Hunnam be a good fit? Share your thoughts in the comments.